De Conch Doubles Up for 2015! 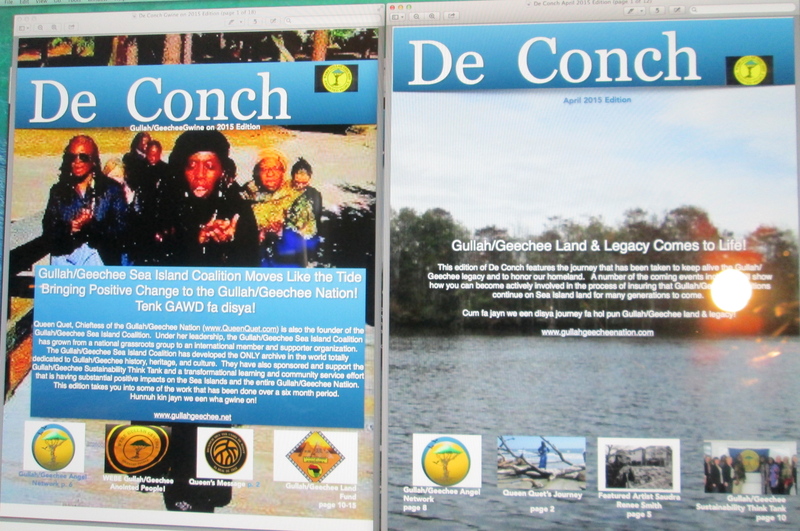 De Conch is the international ezine of the Gullah/Geechee Nation. To get the 2015 year going, there are two issues that were released back-to-back. Make sure to read them online, download, and share! Contribute to the efforts that are going on to keep Gullah/Geechee culture alive! Ef bout we hunnuh wan kno, den yeddi De Conch da blo! ← Oppose Oil Drilling on the Gullah/Geechee Coast! Help protect the Sea Islands!